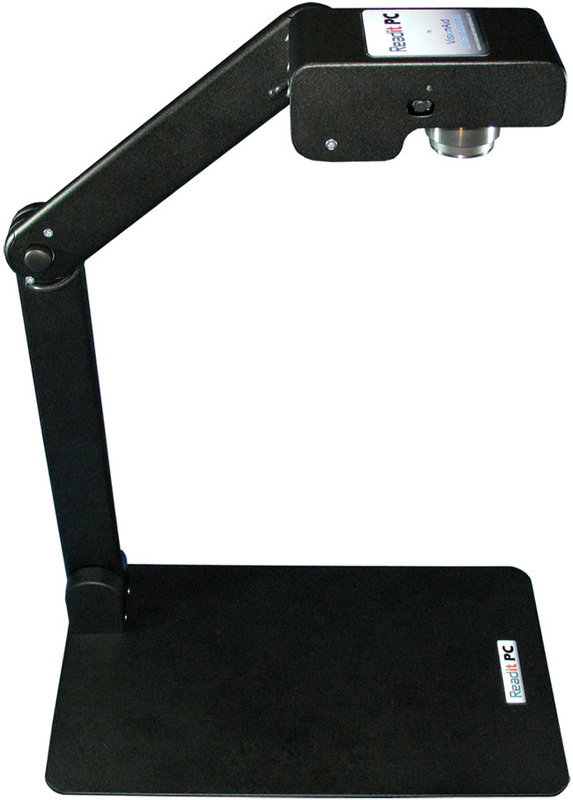 Readit PC - magnify, capture, read aloud and store, on documents up to A3 in size. 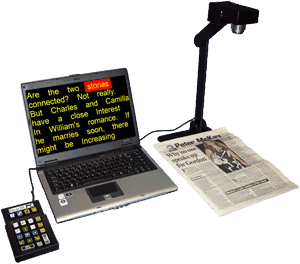 Readit PC is a portable and extremely accurate digital capture system capable of reading back an entire tabloid newspaper page as well as having a full 25x zoom CCTV view. Weighing just 1.2kg (2.6lbs) it is an excellent solution for users on the move. 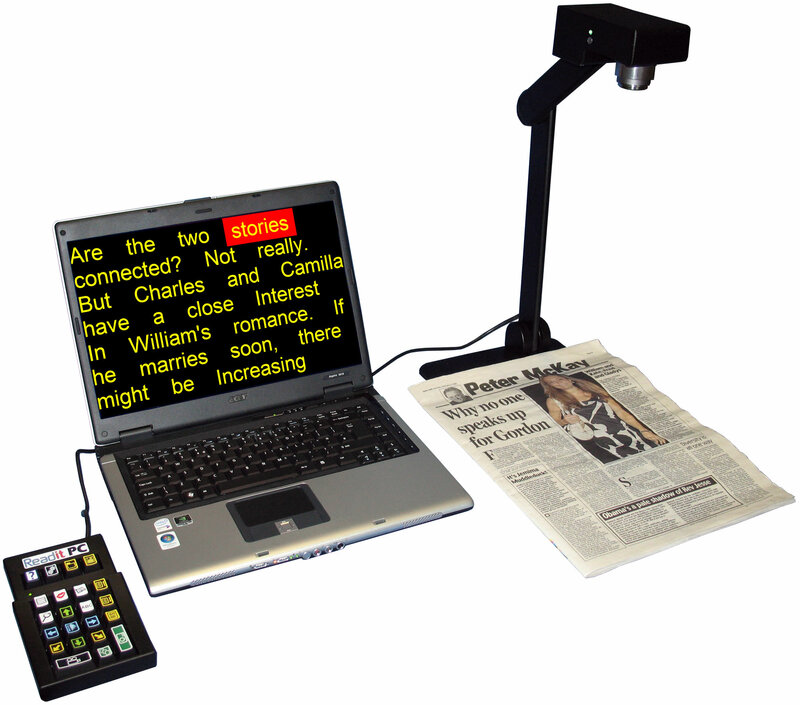 As well as full close up CCTV functionality, Readit PC has the unique ability to capture closeup documents (up to A3 in size) and then automatically scroll and read aloud any text within seconds! What are Readit PC's benefits? Users Read Faster: This is Readit PC's main benefit. With digital capture up to A3 (or double Letter), OCR of close up objects and speech output, users can read over twice as fast as traditional units for longer periods with less strain so they can focus on the meaning of the documents, rather than struggling to just read it. 10 megapixel images: Readit PC's image resolution is over 3x that of the nearest alternative product for closeup capture. This means you get superbly sharp images for OCR and unparalleled accuracy. No X/Y table required: Even for large documents and books, Readit PC's virtual X/Y table with word wrapping means once you've captured a document, you'll never again accidentally miss a line when reading. Fast Set Up time: Readit PC has been specifically designed to be as fast to set up and take down as possible - it takes less than 15 seconds. Just unfold it, plug in one USB connector and you're ready! No Batteries: All Readit PC needs is one USB 2.0 port - no need to worry about keeping a separate battery charged. Who is Readit PC for? Readit PC has been specifically designed for the requirements of business professionals and anyone on the move with a laptop PC.